Recently purchased the DIR-882 and im yet to connect to the internet using it. 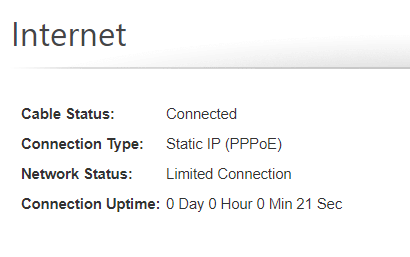 Im trying to connect with pppoe using all the settings my ISP provided (which work fine on 2 other routers), but im stuck with status "Limited Connection" but cannot access anything. Ive tried changing from static to dynamic IP which makes no difference, also tried changing a few other setting which hasn't helped. I've also factory reset and reinstalled the v1.11 firmware then factory reset again. Reboot the modem. Not sure I have ever seen the limited connection status before. I will ask a tech. I've rebooted a few times. Also factory reset and reinstalled firmware. And still getting the limited connection? I have asked a few techs and they said they have never seen that status. Very strange. And still getting the limited connection? 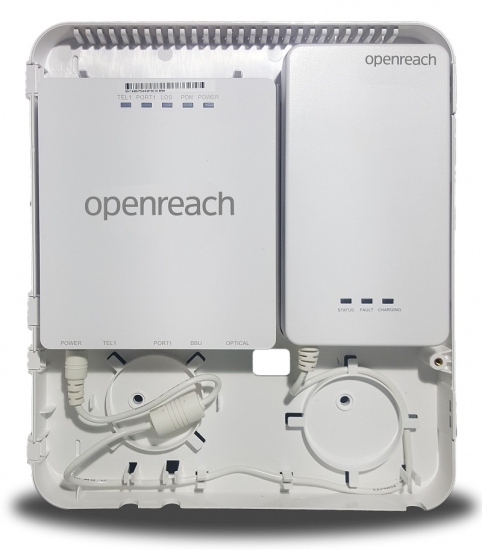 Has a LAN cable been swapped between the ONT and the 882? Has a factory reset been performed on the 882 and setup from scratch. Walk thru the setup wizard while the router is connected to the ONT? OK so I got it working. The problem is something to do with IPv6. If i set IPv6 to 'Local Connectivity Only' everything works fine. As soon as I change the setting to anything else the internet disconnects. I'll just leave IPv6 disabled. Thanks for the update and glad it worked out. Do you have IPv6 support natively from your ISP?